We offer expert Phase 1 & Phase 2 Environmental Site Assessments, Underground Storage Tank Management, Contaminant Exploration & Remediation, Subsurface Exploration, and Monitoring services. Our clients include builders, developers, architects, engineers, municipalities, government agencies, banks and attorneys, along with owners and operators of commercial or industrial facilities..
TSC is uniquely qualified to identify environmental liabilities and explain their implications and then propose and implement sensible, cost-effective corrective measures. And by carefully assessing your project needs and objectives before the work begins, we're able to provide you with only the specific services you require... saving you considerable time and expense. 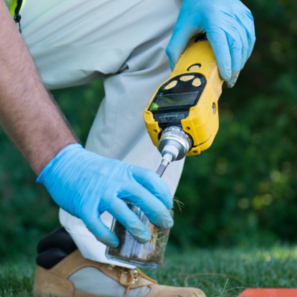 TSC Environmental Site Assessments are phased real estate property studies that seek to identify existing or potential environmental impairments. Phase 1 - Research. Includes review of historical documents; federal, state and local environmental records; interview; and site reconnaissance. Phase 1 ESAs are completed with due diligence in mind and in adherence with ASTM standards. Phase 2 - Field Sampling and Analytical Testing. 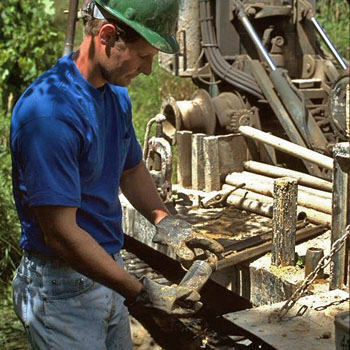 Commonly includes soil borings, test pits or monitoring wells. Encompasses start-to-finish exploration and remediation services. Leading-edge field instrumentation and sampling equipment aid contaminant detection. 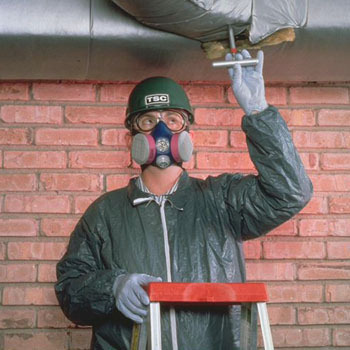 For reliable environmental services, call today. We'd love to hear about your needs, or get a detailed proposal. See for yourself why the name Testing Service Corporation has become synonymous with environmental service excellence at a reasonable cost.